You can contact us between the hours of 09:00 and 17:00 (Central European Time) from Monday to Friday or send us an email at any time and we will get back to you as soon as we possibly can during office hours. 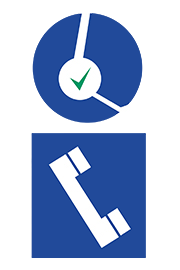 Need to amend or cancel an existing booking? Or make a new booking? Please visit the My Account section of our site. Simply enter your email address along with your password. A default password will have been sent to your email address when you made your first booking. You can also resend your booking confirmation to your email address from your account. Want to know more about ParkVia services? If you have any questions regarding the booking process or the services we offer, please see our FAQ pages.